In 1909, Irwin & Leighton was founded through the partnership of A.D. Irwin and A.O. Leighton. Corporate headquarters were initially located at 126 North Twelfth Street in Philadelphia. Mr. Irwin, a native Philadelphian of means, acted as the primary investor and business manager, while Mr. Leighton managed the completion of projects and the direction of personnel. Benefiting from early connections and ingenuity, the young company was able to distinguish itself quickly. From the beginning, strong customer relationships were forged that would prove to be central to future prosperity. Lead customers of the period included the Pennsylvania Railroad, Bell Telephone, Sears, Roebuck and Company, and Ford Motor Company. The company also did major work for the U.S. Government, including the Cantonment at Fort Dix which was built under an aggressive schedule in order to support the quickly expanding needs of the military at the onset of World War I. A reputation for dependable performance was born. After World War I, modernizations in healthcare and technology fueled company contracts to build steel mills, telephone buildings, modern hospitals, and prominent office and educational facilities. 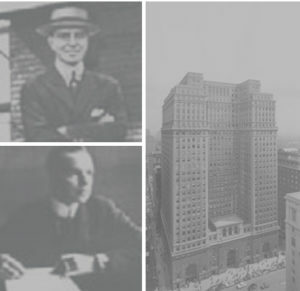 The company built for organizations that became central to the growth of the Philadelphia area such as the Victor Talking Machine Company, Campbell Soup, Philadelphia Electric, Atwater Kent Manufacturing and Strawbridge & Clothier. In 1927, the Philadelphia headquarters moved to 1505 Race Street, where it remained for nearly fifty years. The Depression Era brought about hard times for most Americans and their businesses. Irwin & Leighton’s corporate records indicate that in the ten years from 1930 to 1939, only 54 projects were completed, reflecting greatly reduced activity for the company. Nevertheless, Irwin & Leighton persevered and survived. The Company’s Mission is to continue successfully in business by providing a full range of quality construction services. We will do this by fostering long-term professional relationships, meeting and exceeding the requirements of every customer, and by employing and challenging skilled professionals to promote Company and individual growth. "Optimism" - We have a passion for success and we believe we can accomplish anything together. "Hard Work" - We work hard and all actions are directed towards positive results that promote long term relationships. Our values shape policy and procedures, influence daily activities and create a sense of pride in the organization. We take our mission to support the communities that we live and work in seriously. 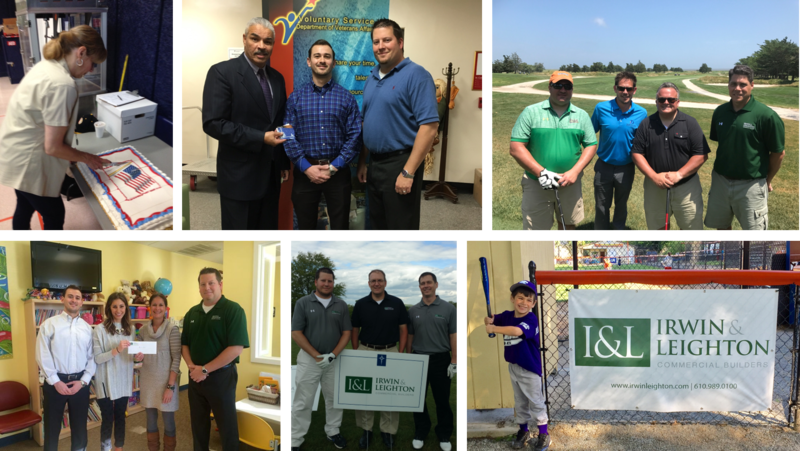 Fulfillment of this mission begins at the individual level with our staff investing time and resources in community organizations. Irwin & Leighton staff members are encouraged to make volunteer service a priority. Irwin & Leighton is widely recognized both within and outside of the industry. We are actively involved at all levels of the from Subcontractor Relations to networking in customer focused groups to develop and maintain strong industry relationships.